More Awesomeness . . . The Parthenon, Revisited! There are some things going on at The Parthenon Greek Grill and Taverna that I just couldn’t keep quiet about. If talking about their amazing desserts, food, desserts, atmosphere, and desserts wasn’t enough to get you to immediately drive to this restaurant, then maybe knowing you’d be eating in one of the cleanest kitchens in Lancaster County will. That’s right, The Parthenon has been awarded the Lincoln-Lancaster Country Health Department award for Food Sanitation Excellence! I don’t know about you, but I find this to be pretty exciting. I knew the place was awesome, but knowing I can camp out on the floor of the kitchen (without catching food cooties) and stuff my face with Gyro gives me some serious motivation…granted, I’d probably get kicked out for eating on the kitchen floor, but you know what I mean. 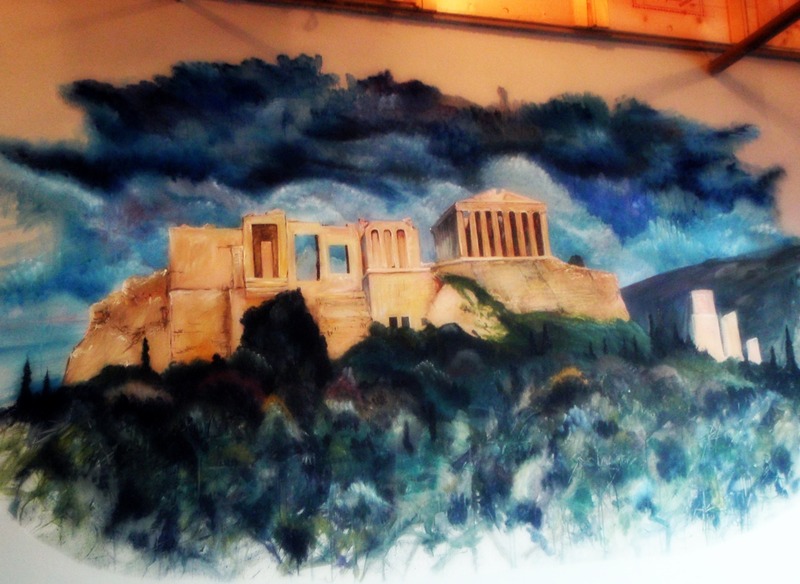 Also, this is kind of short notice, but you simply have to vote for the Parthenon in KLIN’s Munch Madness! It’s the Lincoln, NE food version of that basketball phenomenon that plagues my life every March. Since this is food, however, the event has my full support. Anyway, you have until 8:50 AM Friday, March 25th to vote! …and then bring me some.